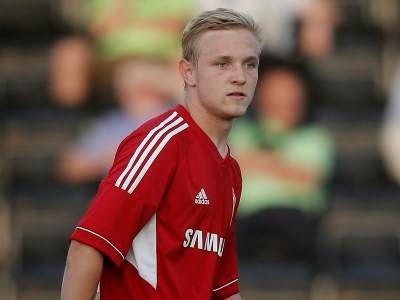 Spurs youngster Alex Pritchard has had a highly successful loan spell at Swindon Towm where he was the second best player in League One. He has just played his final home game turning in another dazzling display. Pritchard has one game left away against Notts County before he turns 21 and becomes ineligible under the terms of the loan agreement. The attacking left sided midfielder has played 42 games this season, scoring 8 times with 11 assists, 6 of those goals and 10 of those assists have been in the league. The fire within him has seen him get booked 8 times and sent off once, as he admits stupidly, from which he intends to learn. “You look at Alex Pritchard – his last home game for the club – he came here a boy and he’s going to go away a man and I’m sure he’ll go on to bigger and better things. Pritchard spoke to the Swindon Advertiser, who rate his best goal this season as one in December against Bradford City when he went past 4 players before scoring; “In my first year, it could be better. “My assists have been good this year but my goalscoring record could be a bit better. But I’m playing football so I’m happy. “I’ve enjoyed it. I’ve not really thought of anything else other than playing for Swindon. The play-offs are right on the edge so we’re just enjoying ourselves now. “We’re not really focusing on anything else, if we enjoy ourselves we win so we’ll just keep trying to do that. Troy Archibald-Henville was another product of the Tottenham youth academy who plays for Swindon and in typical Spurs centre-back fashion he has to manage an ongoing knee complaint. Cooper also told the press that they want to offer him a new contract with his running out at the end of the season. That's life lower down the leagues, no tying players into long term contracts, the cloth has to be cut each season and playing a player in the last year of his contract is common place. In the Premier League if you want to keep a player you have to ensure you have tied him into a new contract before the final year of his existing one otherwise he has the opportunity to leave for free when it does run out with the club missing out on any fee. 0 Response to "Youngster Pritchard Excels (VIDEOS)"